Demonstrate your Credibility. Credibility is so important in business, and it’s also a key factor for clients when they’re determining whether or not to use your services. Demonstrate that you know what your talking about by being knowledgeable about the products and services that you offer. Be ready to answer all of their questions regarding the gutter guards. You want potential clients to feel fully confident in not just the products, but in your knowledge about them, as well. Appearance Matters. It takes just 30 seconds for us to judge someone based on their appearance. That’s why it’s critically important that dealers demonstrate their professionalism by dressing appropriately and maintaining good grooming habits. If you arrive to meet with a client looking disheveled, chances are good that you aren’t going to make a sale and earn their business. Always strive to look your best by selecting professional clothing and accessories. Strive to be a Leader. Make it your goal to be a leader in the company and the industry. By making a good first impression and earning the business of many clients, you’ll be able to prove to yourself and others that credibility and a professional appearance truly count. Once you earn the business of one client, it can easily translate into referrals and future sales. Always strive to be the best dealer that you can be. 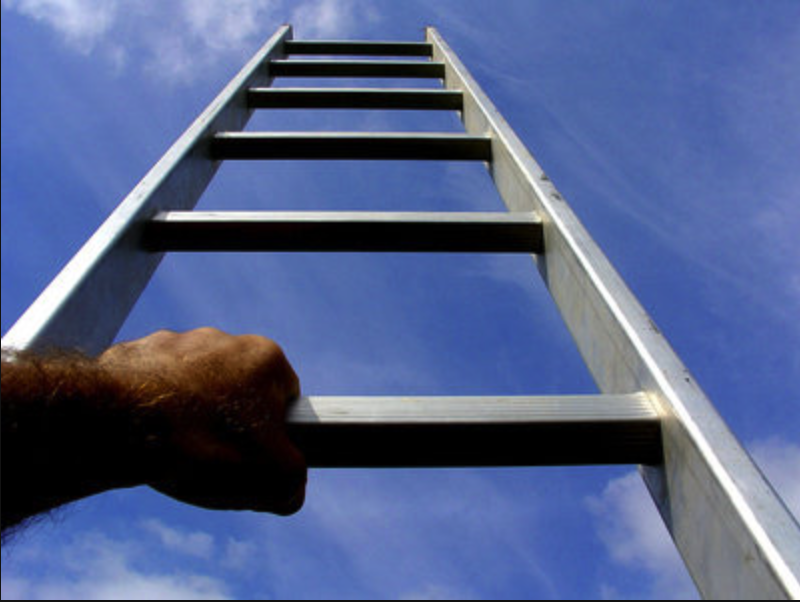 When you are cleaning your gutters, you will need a solid ladder to get the job done right. There are various pieces of equipment on the market, so it is important to know what to look for when purchasing this piece of equipment. Also, it is vital to learn ladder safety tips so that you avoid injuries. When you perform your seasonal gutter cleaning, you should use a ladder that is tall enough to reach your roof-line with ease. A multi-use ladder is quite versatile and usually reaches up to 15 feet in height. Unfortunately, this type of ladder is expensive and heavy. An extension ladder reaches heights over 17 feet, which means that it is a smart choice for a double-story home. Also, this kind of ladder is light and simple to set up. 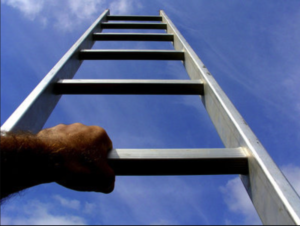 Before making a decision, you should consider the ladder’s material. Aluminum ladders are the lightest, but they should never be used around electric wires. 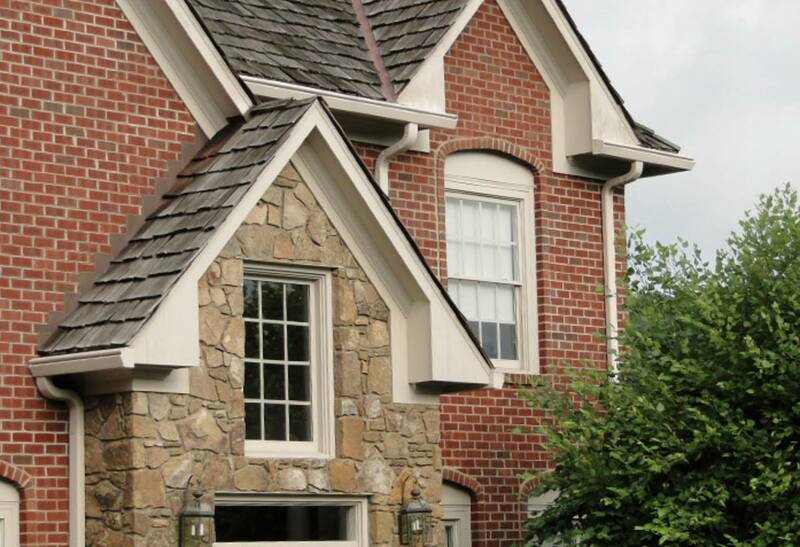 If your house’s gutters are near power lines, it is best to choose a fiberglass product. When you are preparing to clean your gutters, you must follow some safety precautions. To begin, you must make sure that the ground is clear of water, oil, and other slippery substances. The ladder should always be placed on a level surface as well. This will keep you secure when you must reach out to your gutters. For ultimate safety, you must use your ladder correctly. If you have a hinged ladder, it must be fully opened and locked into position. Also, you should always use care when climbing up and down. Both feet should be on the ladder at all times without making jerky movements. To avoid the hassles and dangers of using a ladder to clean your gutters, you should consider a K-Guard Leaf Free Gutter System. This patented unit prevents leaves and debris from blocking your home’s gutters. This means that you never have to worry about climbing next to your roof again. For a free estimate, contact a local dealer today. Wear gloves. Since you’ll be using your hands to remove some debris and you’ll be spraying water, it’s a good idea to wear protective gloves. This will prevent your skin from becoming damaged, as well as prevent cuts and scratches from branches and prickly leaves. Not only that, but there’s bacteria present from things like bird and rodent droppings, as well. Stay healthy and keep your hands dry and clean with heavy duty work gloves. Have a helper. Gutter cleaning is not a task that you should tackle alone, since it involves the use of a ladder. When climbing up a ladder for any reason, it’s important to have someone standing at the bottom making sure that it’s secure. Before beginning this home maintenance project, be sure to have a helper who can stay with you, spot you, and lend a helping hand. This will also help to make the job go quicker. Wear eye protection. In addition to gloves, it’s smart to wear work glasses or goggles. That’s because dirt and debris can come flying out quickly once you start spraying water into the gutters. Keep your eyes dry and safe. One of the best ways to keep your gutters clean is with gutter guards. By properly installing them, you’ll enjoy clean, effective gutters all year long. This will make the task of checking them each fall much safer and simpler. Keep these gutter safety tips in mind as you prepare to check your home’s gutters this autumn. When winter hits, ice and snow can cause damage to your home. To make sure that your gutters are ready, it is important to follow some fall gutter cleaning tips. During fall, your gutters may become filled with sticks, acorns, leaves, and other natural debris. To make sure that everything is removed, following some maintenance tips will keep problems from occurring. Use the Proper Tools. To safely clean your gutters, you should have two ladders. One will hold your tools, and the other will hold you. Gloves, buckets, and a hose are necessary supplies as well. Begin with Large Debris. Removing large debris first will make the cleaning process much easier. Commonly, large items cause blockages. If it is difficult to eliminate the large items, you may need to use a plumber’s snake. Use Your Hose Correctly. You hose is your best friend, especially during fall gutter cleaning. Spray your hose and uncover where blockages are located. This will help detect leaks as well. If drainage is slow after you have removed large debris and sprayed water, a clog most likely exists. Since gutter cleaning can be dangerous and time consuming, you should consider installing a K-Guard Leaf Free Gutter System. The patented design protects your home from water damage, keeps gutters from sagging, and eliminates the need to remove leaves and other debris from your gutter channels. 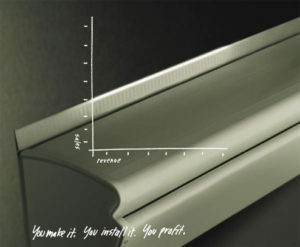 The system uses gutter guards that fit on top of your gutters and prevents items from becoming stuck and causing clogs. Thanks to the smooth and curved appearance, K-Guard pieces are more attractive than similar products. Since it is constructed of aluminum, corrosion is never an issue, and the unit can withstand all weather conditions. The K-Guard System provides extreme durability as well. To learn more gutter tips or to receive more information about the product, contact your local K-Guard Gutter System dealer today. Why You Should Market K-Guard Gutters Today! The K-Guard Difference. 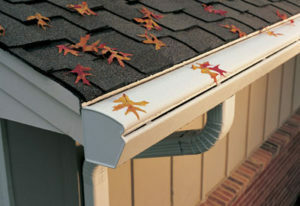 Conventional gutters are open and let old leaves accumulate. This can lead to clogs and ineffective drainage. If left untreated, a home can incur damage. The K-Guard Gutter System has a unique design that has been engineered to be strong, durable and improve a home’s appearance. Thanks to the patented hangers, homeowners never need to worry about their gutter system sagging. The heavy-duty aluminum base withstands all weather conditions. The oversized dimensions allow high volumes of water to flush through without trapping debris. The best part is the appearance- The smooth curves are streamlined and do not detract from a home’s curb appeal. Selling K-Guard Systems. Homeowners are always looking for tips to make their property more attractive and easier to maintain. Functional products like K-Guard are affordable and work effectively to keep drainage flowing well and to complement exterior design. 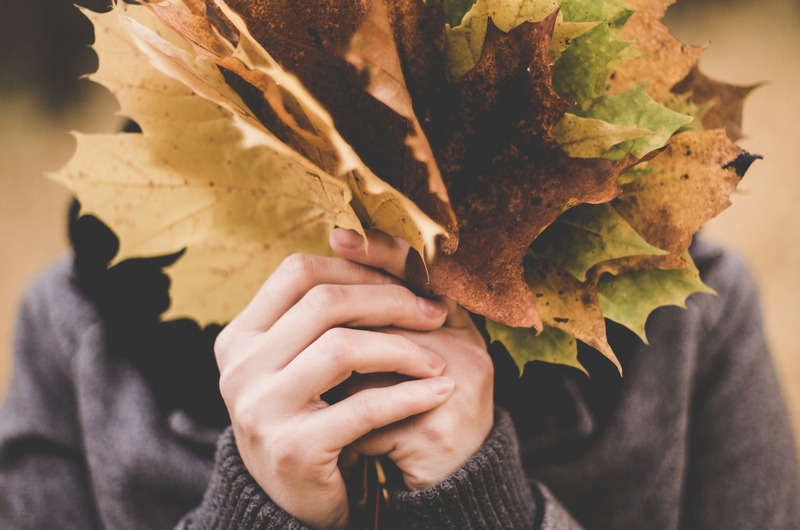 When leaves and other items do not cause blockages, it saves time from cleaning the systems as the seasons change. A pleasing aesthetic increases home value as well. Joining the K-Guard Dealer Network. K-Guard is always looking to extend its reach to the public. If you have existing sales and advertising experience, have at least a two-person sales group, and are committed to providing customers with high quality service, you should consider joining our team. Over the last five years, we have installed more than 33 million feet of our product. In the future, we intend to increase these numbers. For more information about becoming a dealer, contact us today. Gutter guards play an important role in protecting your home from damage this summer caused by water collecting on your roof. Unfortunately, conventional gutters can become clogged with debris and leaves, which leads to ineffective water drainage. For this reason, many home improvement experts offer tips on how to keep such gutters clean. 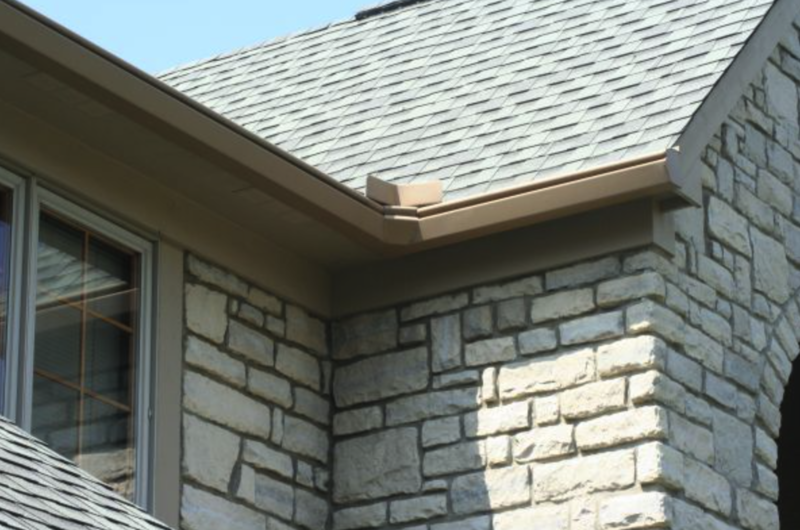 Leaf free gutters such as K-Guard Gutter Guards are an even better solution to this problem and offer the highest number of benefits to homeowners. Capacity. The capacity of K-Guard gutters is five inches, and therefore they have the ability to drain greater amounts of water than smaller systems. Additionally, they feature 3×4-inch down spouts, which makes it easy to flush out any leaves or debris that may enter the system on an occasional basis. Strength. K-Guard gutters feature a patented design comprised of high-strength hangers, which are placed every two feet on the inside of the gutter. The supports are made from sturdy, four-season polymers that prevent the gutter from losing its form or sagging. Durability. 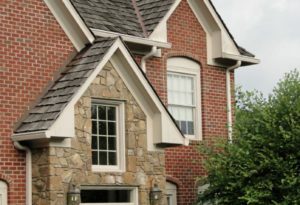 The K-Guard Gutter system’s life span is extraordinarily long, which is not the case with virtually any other gutter system on today’s market. Its durability is due to the type of aluminum from which it is made, as well as the coating that is placed on the hood and gutters by the manufacturer. This combination creates a system better able to withstand essentially any weather condition it may encounter. Aesthetic Appeal. Unlike the sharp vertical faces and corners of most of today’s gutter systems, the curved, smooth appearance of K-Guard gutters adds beauty and aesthetic appeal to your dwelling. Various colors are available so that a shade that compliments your home can be found without much difficulty. Even during thunderstorms and other severe weather events, the K-Guard system functions very efficiently to keep your gutters clean. Those searching for tips on how to maintain a comfortable and safe home during summer will quickly find that installing leafless gutters is a good place to start. Contact a retailer today to find out how you can have a more beautiful and efficient home this summer with K-Guard Gutter Guards. As April arrives, it is time to begin your spring cleaning routine. Besides dusting your home’s interior, you should head outdoors for gutter cleaning. 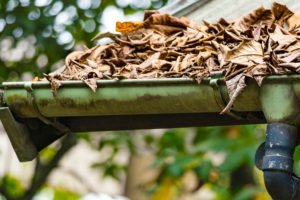 At this time of year, gutters are probably filled with debris from newly budded branches and old leaves and pine needles from winter storms. To avoid rain overflow, there are some gutter tips that will help to safely get ready for springtime. While gutter cleaning, it is best to use a spray nozzle with a pistol-grip handle, which can be easily hung on the front of the gutter while moving the ladder. It is advised to spray in the direction of the downspout so that small debris exits quickly. It is vital to use a sturdy aluminum ladder that can hold a large bucket for debris. A four-legged ladder is best for a ranch-style home, and an extension ladder should be used for a two-story residence. The bucket should be secured to the ladder with a lanyard as well. The first step of gutter cleaning is raking the debris off your roof. If not, the next storm will wash the dirt down into your newly cleaned gutters, which can lead to clogs. Also, leaving debris on the roof can cause water damage around your chimney. If you must walk on your roof, you should wear shoes with good treads. Rubber soles adhere well and will prevent slips. Since a roof may be wet in the morning, it is smart to begin cleaning when the sun is up and has dried the moisture. It is essential to make sure your downspouts are completely clear. To unclog the pipe, it is wise to run water at full pressure and tap its side. If this is not successful, the downspout may need to be removed and flushed from the bottom. Remember to protect your eye from flying debris. The above tips will help you get your gutters ready for springtime 2016. If you want this to be the last time you perform this task, consult with K-Guard. This company has a patented leaf-free gutter system that is durable and designed to cover the area so that gutters remain free of debris that causes blockages. With this type of system, you will never need to clean your gutters again.